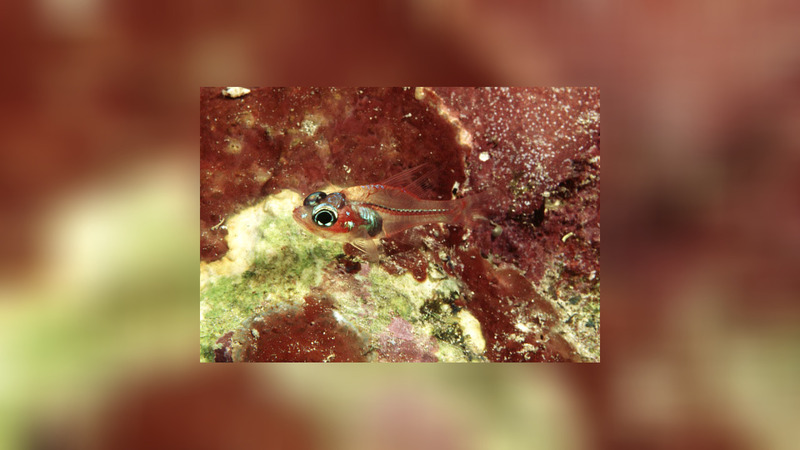 Apogon doryssa is a small semi-transparent cardinalfish with a red head, red concentrated along the vertebral column, the upper and lower edges of the body, and with red scale margins. This cardinalfish inhabits coastal and offshore reefs and is usually seen only at night. It lifes in a depthrange from 4 to 21 meters.